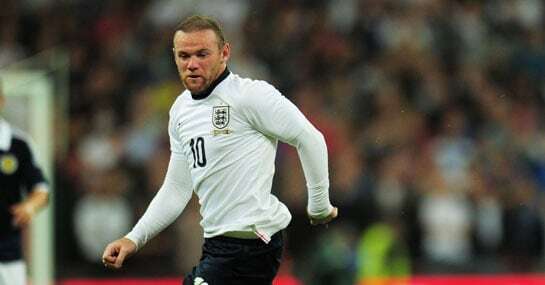 It’s a move many had anticipated, as 34-year-old Steven Gerrard leaves his post as England captain to retire from international football – leaving Wayne Rooney as the favourite to take the armband. Ladbrokes have installed Rooney – who’s chalked up an impressive 40 goals for his country, yet scored only once in three World Cup finals appearances – as the strong 1/2 fav to lead the Three Lions on towards France 2016. However, there are a couple of others in the frame according to the bookmakers, with experienced Chelsea defender Gary Cahill (7/2) and goalkeeper Joe Hart (9/2) considered the only other viable candidates. The vacancy looks to have opened a little too early for Arsenal’s Jack Wilshere however. Arsenal’s midfield maestro had widely been tipped as a future England skipper when rising through the Gunners ranks, but injuries have blighted his development over the past few seasons. As a result, Wilshere was on the fringes of Hodgson’s starting XI in Brazil and is only considered a 33/1 chance to adorn the armband at this juncture. Interestingly, 36-year-old vice captain Frank Lampard – who is due to sign for MLS side New York City – is left out of the betting altogether. It doesn’t take a genius to decipher that Lampard’s distinguished Three Lions career is likely to be drawing to a close at the same time as his Liverpool-based contemporary. At least Hodgson has finally solved the age-old Gerrard/Lampard conundrum as the so-called golden generation takes its bow.